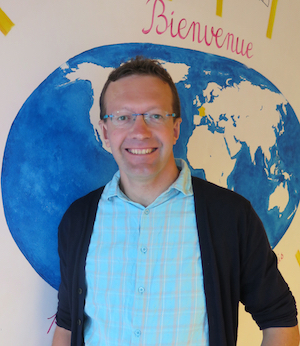 Coming from Savoie (Chambéry) where he was born in 1976, Frédéric has a Master of French as a Foreign Language and a Master of Foreign Languages (English and German). Teaching at CILFA since April 2004, he is fond of languages, intercultural, bicycle (urban, travel and mountain bike) and of Africa where he taught French from 2000 to 2002 (in Ghana). He lived in foreign countries for a long time (Germany, Great Britain, Canada, Peru, West Africa and Japan) and he loves contacts, his colleagues call him “the citizen of the world”. Careful of the needs and specificities of each student, he tries to teach every day in a good mood in order to meet all the conditions for efficient training.